Bottom tier is white cake with chocolate buttercream icing and top tier is strawberry cake with chocolate buttercream icing. 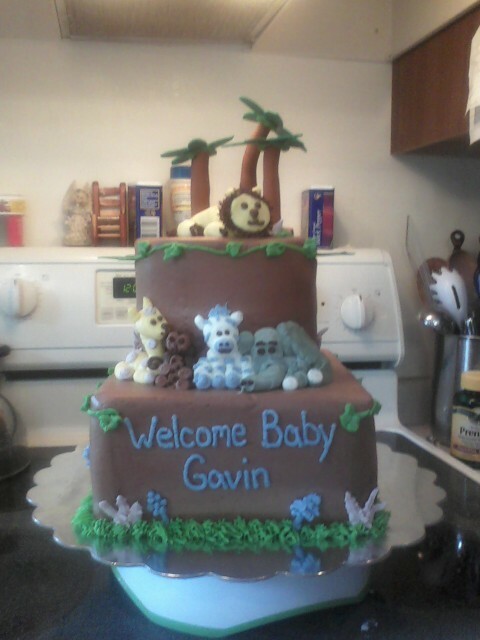 Handmade fondant palm trees and buttercream animals , plants and all other decorations. Chocolate cake with White Chocolate icing. 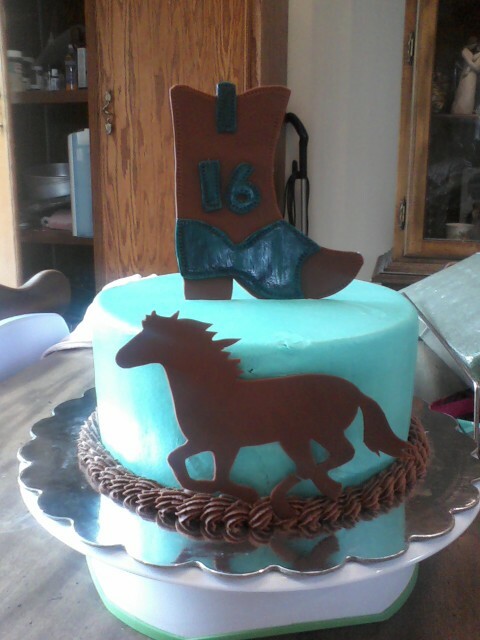 Handmade boot and horse. White cake with vanilla buttercream icing. 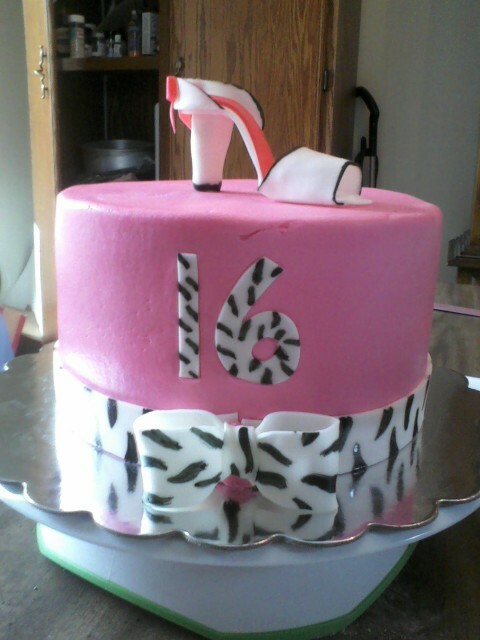 Handmade ribbon, bow, numbers and high heel.